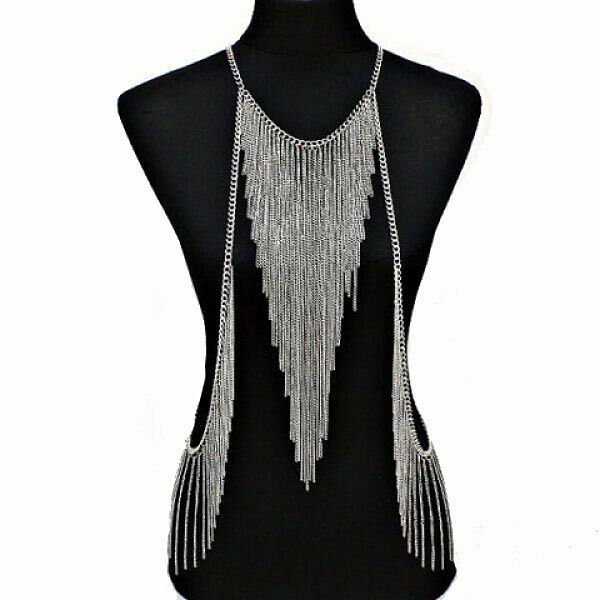 Multi-layer tasselled body chain with curb necklace with adjustable clasp, lobster clip fastening and 34 layered hanging linked chains to the front. 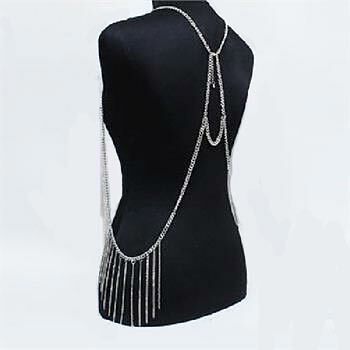 An additional 12 chains (6 each side) hang down over the hips. The perfect summer body jewellery, ideal for wearing over swimwear.